MR Direct molds 99% pure copper into copper kitchen sinks and copper bathroom sinks. No recycled metals or scraps are ever used in the manufacture of an MR Direct copper sink. 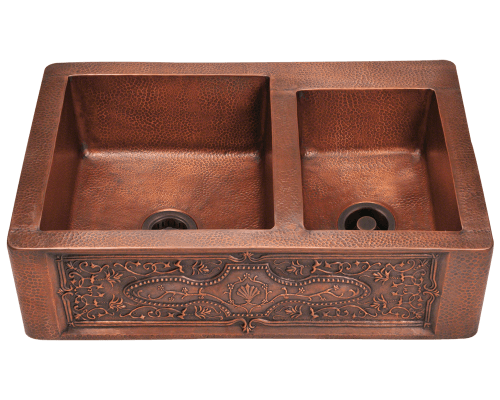 Most sinks are finished with a decorative pattern of divots, hand hammered into the surface by skilled craftsmen. 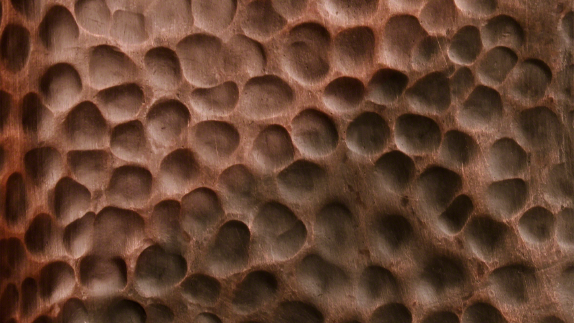 These impressions actually strengthen the metal, besides adding to copper’s distinctive, old-world character. 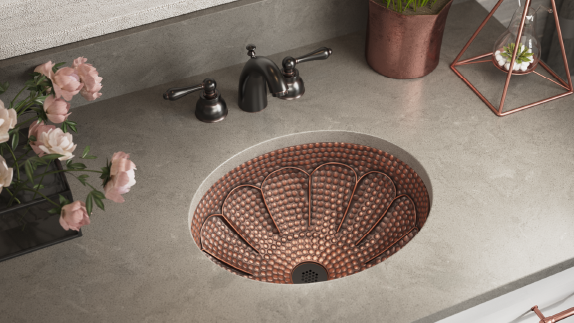 Our hand-hammered, copper kitchen sinks are available in a variety of styles. 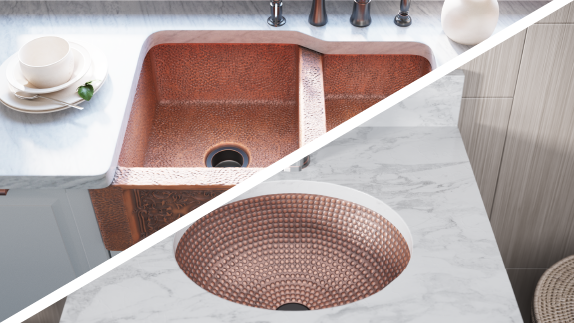 Many models are designed as copper undermount sinks to be installed in a flush, positive, or negative reveal. 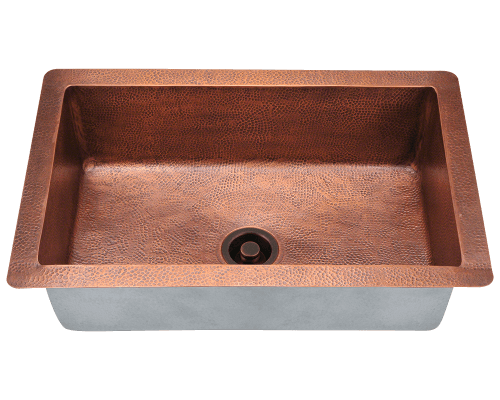 We also offer several copper apron sinks. 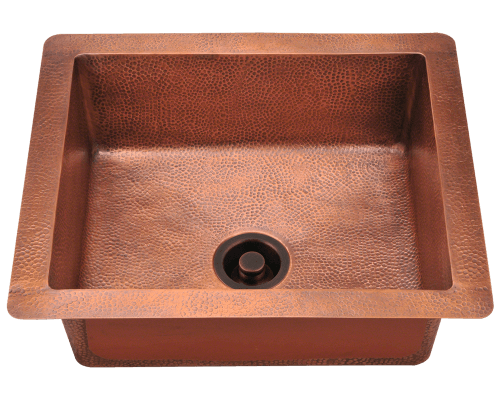 Our hand-hammered, copper bathroom sinks are almost all dualmounts. 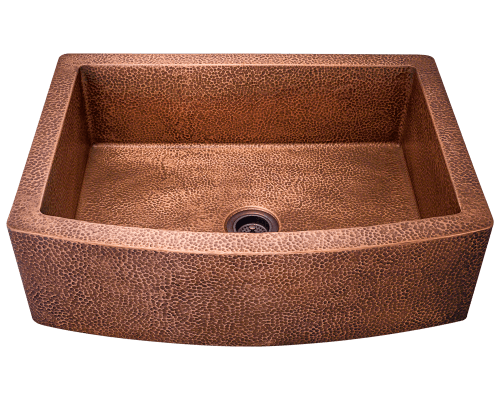 Many can be installed either as a drop-in copper sink, an undermount copper sink, or as a copper vessel sink. 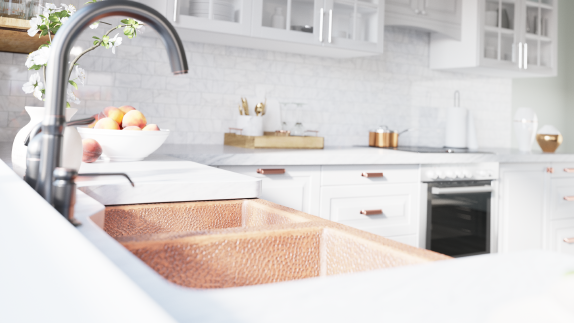 Whether for the kitchen or the bath, the beauty of copper will blossom naturally. The reaction of copper ions with the air produces a patina that ages the copper surface over time. The hammered divots and smooth surfaces will darken at varying rates to produce the antiquated appearance. Copper also has a natural defense against germs, killing bacteria on contact.